Three of the brand-new 2018 Mercedes Sprinters fitted with Paneltex temperature-controlled bodies made their world debut at the Mercedes-Benz Van Experience Live event, held recently at the Millbrook Proving Ground. After a sneak preview at the CV Show, Hull based refrigerated bodybuilder Paneltex demonstrated the first ever refrigerated body on the new style third generation Mercedes Sprinter chassis cab at this event. The Paneltex side loading refrigerated home delivery body featured a very low access height that eliminated the need for a side step. This Paneltex triple compartment body covered ambient, chilled and frozen goods in a single body and featured the lightweight Paneltex GRP-moulded door frame. The vehicle also had the Paneltex GRP-moulded air deflector for improved refrigeration performance and aerodynamics. Alongside this vehicle was the first display of two further Paneltex innovations on the new 2018 Mercedes Sprinter. To complement the side-loader, Paneltex had its first ever rear-loading home delivery vehicle on the new Sprinter chassis-cab, also built in the main Paneltex factory in Hull. 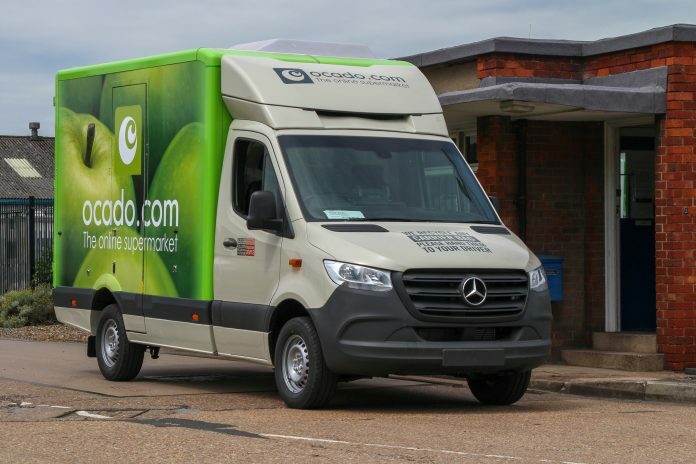 With a high payload, a dual-temperature chilled/ambient body and aerodynamic skirts and cab air deflector, this vehicle is ideally suited as the perfect urban hub-and-spoke distribution vehicle. Along with these two chassis-cab based vehicles, and completing the trio of world firsts by Paneltex, was the first ever temperature-controlled new Mercedes-Benz Sprinter panel van conversion. This vehicle retains the new Sprinter styling, through the Paneltex patented Somers Direct Air Cover, hiding the refrigeration condenser from view, while also optimising the air flow onto the heat exchanger. This Mercedes Sprinter panel van featured a dual-temperature frozen/chilled conversion, with a freezer-grade sliding side door, maintaining ATP Class C standard in the front freezer compartment. A fixed internal bulkhead separated this from the rear chilled compartment, which was prepared with internal pallet protection and load restraint track.